The Robert Morris University Colonial softball team took on St. Bonaventure on Wednesday, April 11th, 2018. 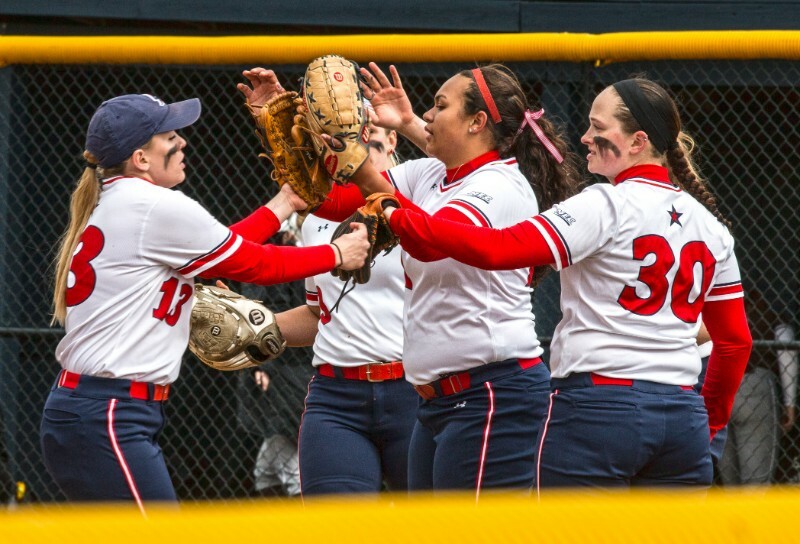 MOON TOWNSHIP– The Robert Morris Colonials softball team (8-23) heads to St. Bonaventure (4-17) on April 3 at 3 p.m. and 5 p.m. to face off against the Bonnies. The Colonials last played the Bryant Bulldogs (7-24), and the result of those games saw the Bulldogs win both games against the Colonials. The last time the Bonnies played was a three-game series against the La Salle Explorers (6-18) where the Bonnies won the first two games, then lost the third game. The Colonials’ last stop on the long road trip is to Saint Francis, to face the Red Flash (14-20) on April 6 at 1 p.m. and 3 p.m. The Red Flash last played the Central Connecticut State Blue Devils (11-14), with the Red Flash beating the Blue Devils in both games. The Colonials started the game off strong as they scored one run early. The Bulldogs were unable to score a run until the third inning when they finally got a run across the plate. In the fourth inning, the Colonials scored two runs in the top half of the inning, then the Bulldogs answered back with three runs in the bottom half of the inning. The Bulldogs increased their lead even more in the fifth inning when they scored another three runs. The Colonials scored another run in the sixth but the damage was already done, the final score of the first game was 7-4 in favor of the Bulldogs. In the second game, the Bulldogs came out swinging as they scored four runs in the bottom of the first. Then neither team scored until the fourth inning when both teams were able to score one run. The Bulldogs added one more run to their score, and that would be it for the game as the final score was 6-1 Bulldogs. The star players for the Colonials in the first game were Natalie Higgins and Brianna Bunner. Higgins had three hits and two RBIs. Bunner had one hit and two RBIs. The star player for the Bulldogs in the first game was Gabrielle Ermish. Tiffany Bell was the star of the second game. Ermish who pitched 5.1 innings and stuck out four batters then Bell had three hits and two RBIs. The star players in the second game for the Colonials were Laura Coulter and Brianna Bunner. Coulter, who came in relief and pitched 2.1 innings, struck out three batters and allowed one earned run. Bunner had one hit and one RBI. The star players for the Bulldogs in the second game were Colby Norris and Marianna Politis. Norris pitched all seven innings and gave up one earned run and struck out four batters then Politis had one hit and two RBIs. St. Bonaventure played a competitive and close first game against the Explorers with neither team scoring until the fifth inning when the Bonnies scored their first run while the Explorers scored three runs. In the seventh, the Bonnies started off the inning strong as they scored five runs to take the lead from the Explorers. The Explorers scored two runs in the bottom of the seventh inning but Explorers sealed their fate as they committed three costly errors. In the second game, the scoring didn’t start until the fourth inning when the Explorers got a one-run lead but the Bonnies answered back with four runs of their own in the fifth inning. Then the Explorers got their last run of the game in the sixth. In the top half of the seventh inning, the Bonnies got another run to take the win. In the last game of this series, both teams scored two runs to start the game. The Explorers gained the lead back in the third inning as they added two more runs to their score. The Bonnies battled back and scored their two runs to make the scored tied again. The seventh inning came, and the Bonnies gained the lead back by one run. In the bottom half of the inning, the Explorers hit a walk off home run to end the game. The star players for the Bonnies were Tierney Fitzgerald and Alyssa Yungwirth. Fitzgerald pitched in the second where she pitched five innings with two earned runs to score and struck out three batters. In the third game, Fitzgerald pitched four had two unearned runs score then struck out three batters. Yungwirth pitched 4.1 innings in the first game allowed two earned runs to cross the plate and struck out five batters. The first game saw neither team score until the sixth when the Blue Devils scored six runs. Then in the last three innings the Red Flash went on a scoring frenzy as they scored a total of 12 runs to get the win against the Blue Devils. The Red Flash came out the dugout for the second strong as they scored three runs in the first inning. In the second inning, the Blue Devils scored their only run of the game. In the fourth inning, they added another four runs to make their lead much harder to catch up to. In the last inning of the game, the Red Flash gained an even more of a lead as they scored five runs to end the game. The stars of the game for the Red Flash were Christina Clark and Mikayla Bower. Clark who pitched 4.2 innings, had no earned runs and struck out four batters. Offensively Bower had one hit and three RBIs. The star players for the Blue Devils were Emily Cronin and Giuliana Hathaway. Cronin had three hits and one RBI, then Hathaway added two hits and three RBIs. In the second game, the star players for the Red Flash were Christina Clark and Cheyenne McKee. Clark got the call to be in the circle for the second game as well, she pitched seven innings and only allowed one earned run plus she struck out five batters. McKee had a productive day at the plate as she had one hit with three RBIs plus she was hit by a pitch. The star players for the second game for the Blue Devils were Kari Marks and Sarah Ogilvie. Marks pitched three innings and had three strikeouts, but allowed five earned runs. Ogilvie had one hit and one RBI. Abrielle McCartney (RMU): McCartney leads the team with a batting average of .297 and she has a total of 27 hits this season. In the field, Riggle has only made two errors with a fielding percentage of .965. Riggle has 12 runs batted in plus five extra base hits. Madison Riggle (RMU): Riggle has the lowest earned run average with a 4.38 and she has struck out eight batters this year. She has allowed only two home runs against her but had one hit a batter this season. Even though she doesn’t pitch often, she brings the experience and she gets the outs when her team really needs it. Alexandra Deal (SBU): Deal leads the team with a batting average of .321 and a slugging percentage of .393. 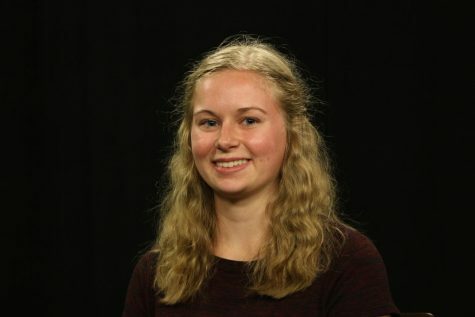 As a senior, she has the experience and the eye for the strike zone and she has drawn a walk eight times this season. St. Bonaventure Pitching Staff: The pitching staff for the Bonnies keeps the games in control so the team can come out with the win. They are also able to pick each other up when each of them is taken out of the game. Hayley Norton (SFU): Norton leads the team with a batting average of .391 and an on-base percentage .452 on the year so far. As a senior, she is very disciplined at the plate with only strikeouts this season. She has 35 RBIs and nine home runs plus a .709 slugging percentage. Cheyenne McKee and Sierra McKee (SFU): The McKee twins are a one-two power punch in the offensive lineup for the Red Flash. Both of them possess batting averages higher than .350 and slugging percentages higher than .630. Each of them has more than 30 RBIs and more than five home runs. I think the Colonials will win both games against St. Bonaventure, but they will lose both games against Saint Francis. The Colonials will play on their home field against the Niagara Purple Eagles (2-17) on Tuesday, April 3rd at 3 p.m. and 5 p.m.